The Royal Marines often have to travel light and deal with a wide variety of challenges, so they have developed a toolkit which combines simplicity with effectiveness in almost any circumstance. The toolkit contains two items: a hammer and a roll of duct tape. 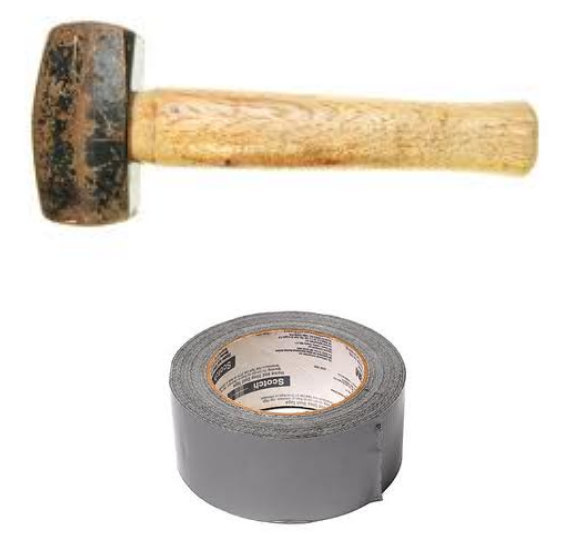 There aren't many problems that you cannot solve - or at least deal with for the time being - with a hammer and/or duct tape - which is known in the Royal Marines as "Maskers" or "Harry Black". These tools have metaphorical importance too of course - the hammer is a symbol of determination, while the maskers stands for improvisation and adaptability. Time spent in the Armed Forces gives plenty of opportunity to develop these two characteristics, and my message to every serviceman and woman considering leaving the Forces is to remember that they have these tools in their pockets long after they take off their uniform. If you can't fix it with masking tape or a hammer - it's probably an electrical fault!